A 600km 3 day detour took us to another historical bucket list item for me, Mt Rushmore. I've seen many monuments and statues during my travels, and one that stands out in my mind is the huge Genghis Khan statue in Mongolia. 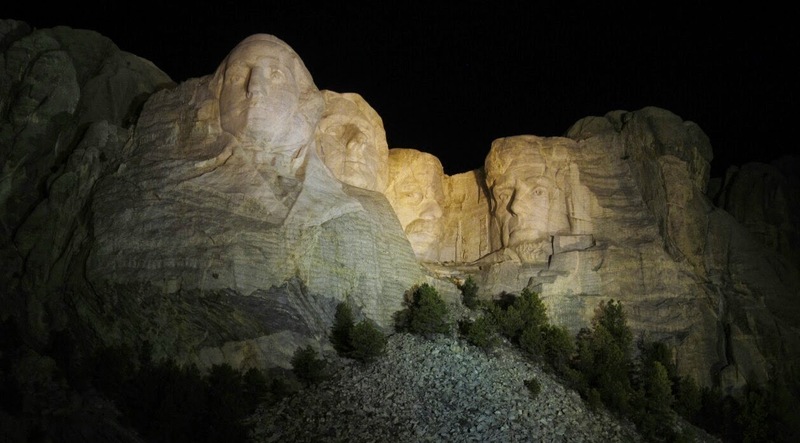 But they do not compare to the huge 20m faces carved into an actual mountain. 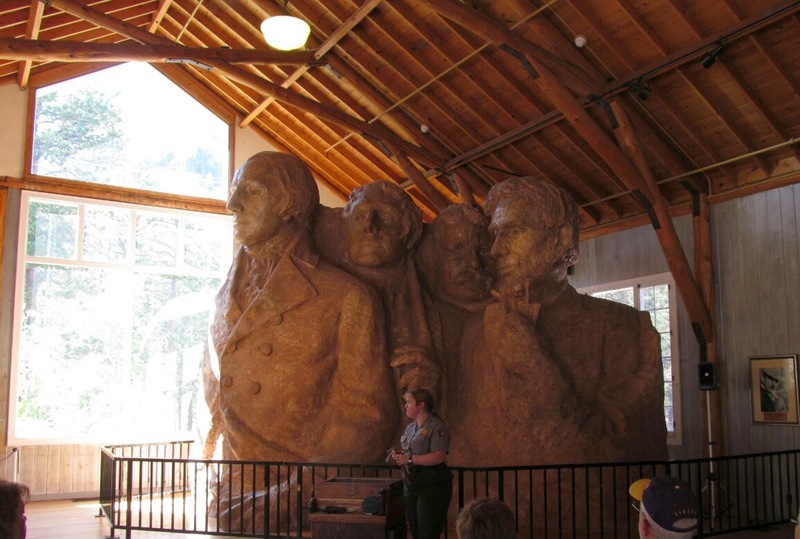 George Washington, Thomas Jefferson, Abraham Lincoln and Theodore Roosevelt peer down at you from among the trees as part of this granite mountain. 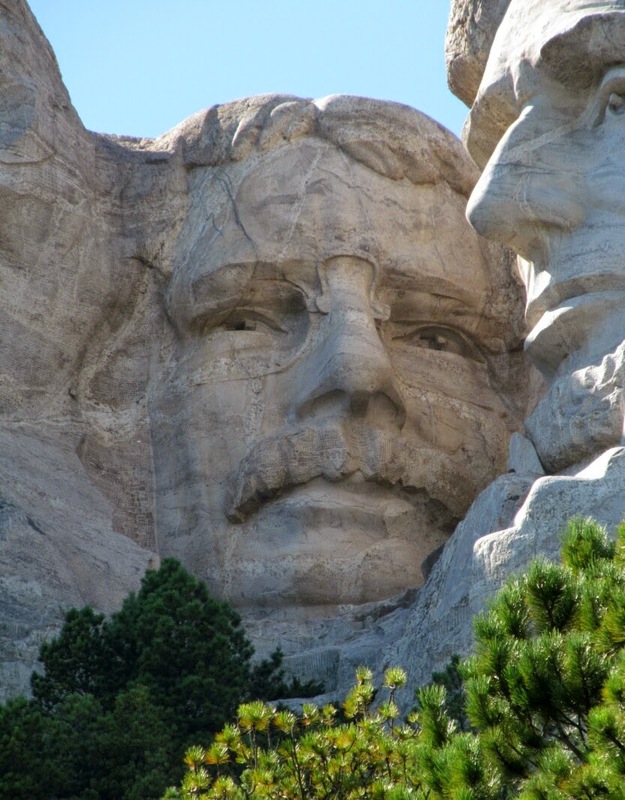 Over a period of 14 years, 400 workers and with the predominant tool being dynamite, these four faces emerged and are predicted to withstand the forces of time for at least a thousand years. The idea being that a future civilisation will understand this one better. To that end there is a small room built into the mountain that has 16 porcelain panels of information including the words of the Declaration of Independence. 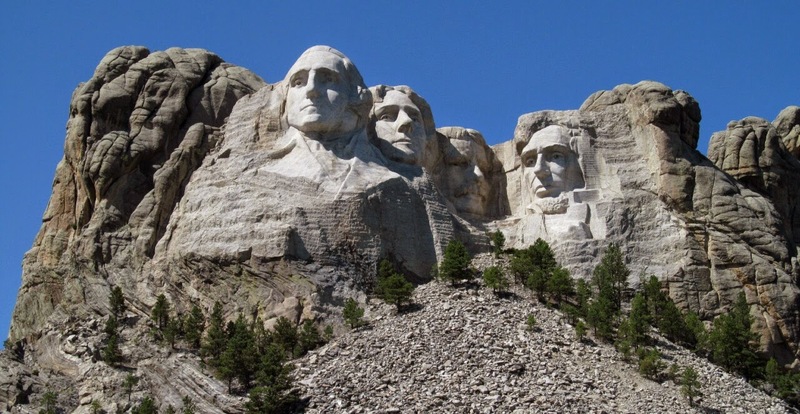 Interesting bit of trivia: Washington's nose is 1 foot longer than the others. The area around the mountain has been kept mostly natural and you cannot go near the monument itself. There is a path you can look up from to see the faces from different directions, a sculptures studio containing the tools used and the original sculpture model, and a museum. 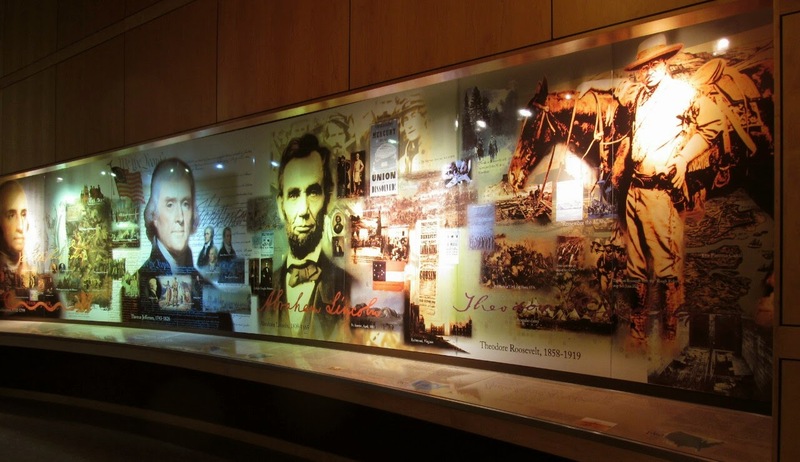 The museum has a documentary about the construction of the monument and a room devoted to Gutzon Borglum the sculptor, and the workers who created it, as well as information on the history of the US from Washington on. 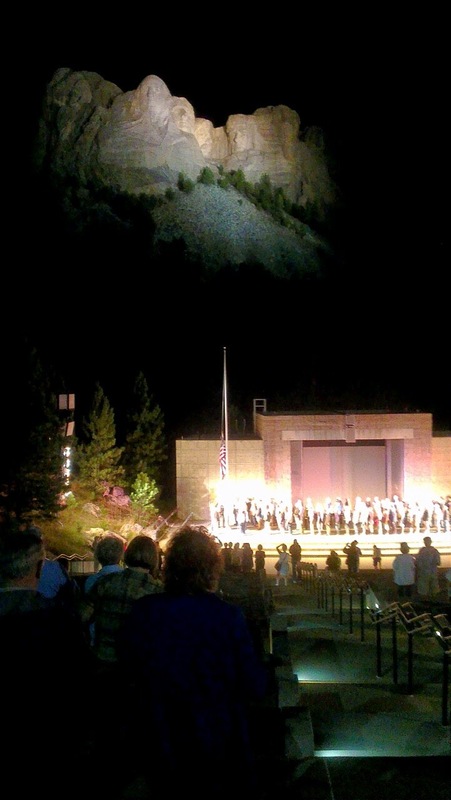 Finally there is a ceremony at night in an amphitheatre. This ceremony is quite moving. Obviously it is designed to fire up US patriotism and they talk about what the four presidents accomplished and what it means to current US society. We see a documentary movie on a big outdoor screen, after which the mountain is illuminated with huge lights, extremely impressive. Then past and present members of the armed services in the audience or their representatives are invited to come down on to the stage. 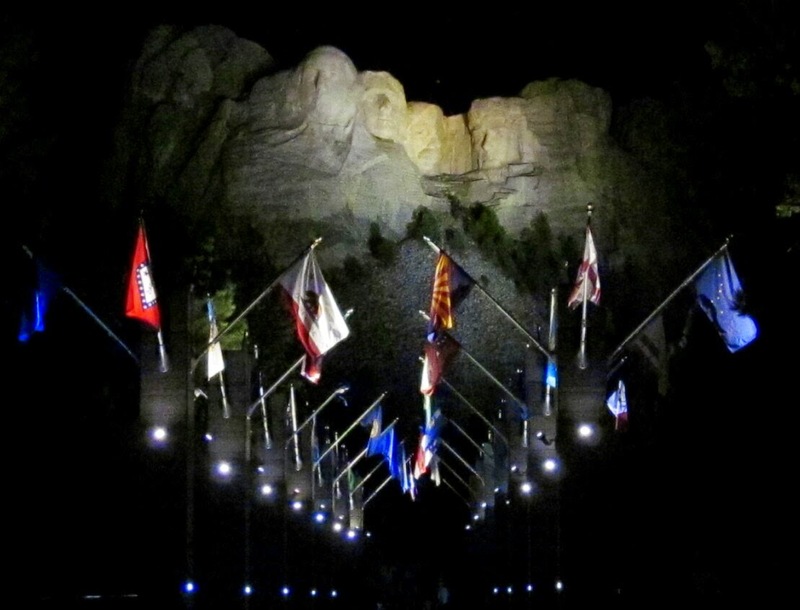 There is a flag lowering and folding ceremony after which every single person on the stage gives their name and rank or that of the person they represent. The crowd shows its appreciation for them and their sacrifices in the usual way and we all go home. The amount of respect shown to their servicemen and servicewomen in the US is impressive and unlike anywhere else in the world we have been.